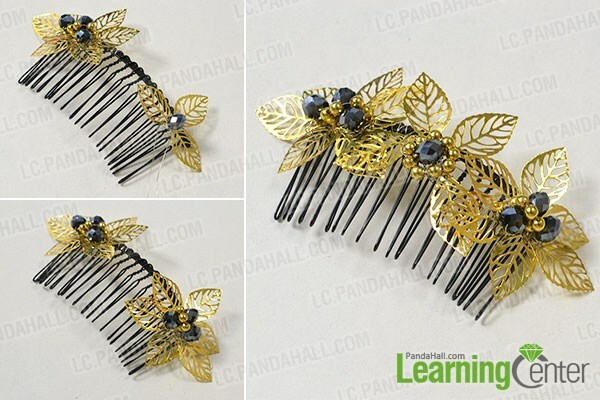 Summary: In this tutorial, we’ll show you how to make a comb for autumn days, the materials are easy to get and the comb is very simple to make. 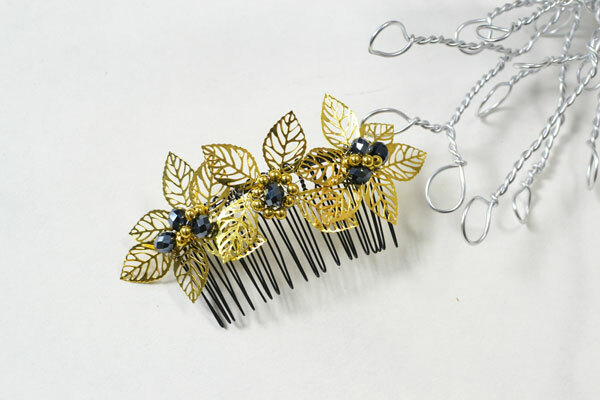 Golden leaves are one of the most typical scenes of autumn, so we made this pretty gold leaf decorated hair comb for autumn days. 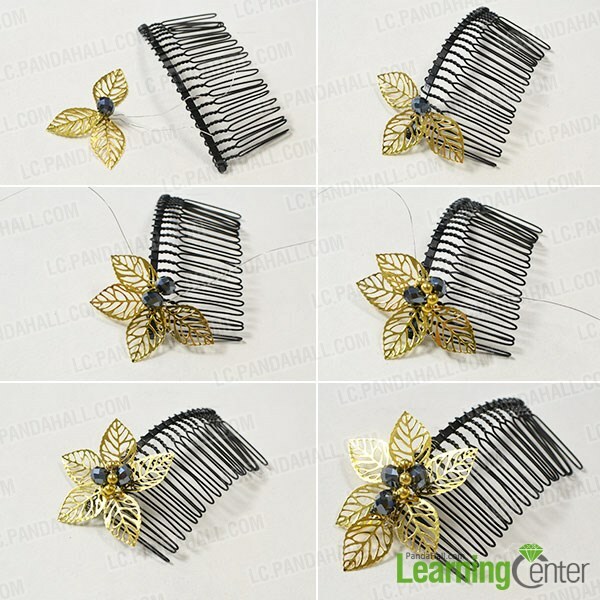 Just with some filigree leaves and black glass beads, you can make a comb like this as well! 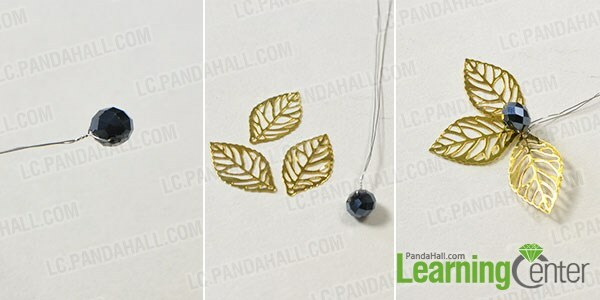 2nd, thread both wires through a filigree gold leaf, then separate the wires and slide a leaf to each wire. 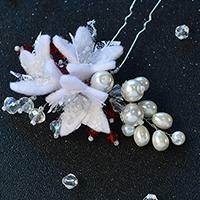 5th, add another gold leaf and a black glass bead to finish the flower, wrap the wires back to the comb and fix them. 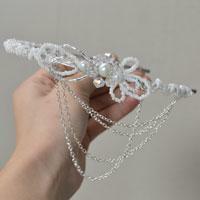 4th, fix the flowers on the comb and cut off extra wires. Not so difficult to make, right? 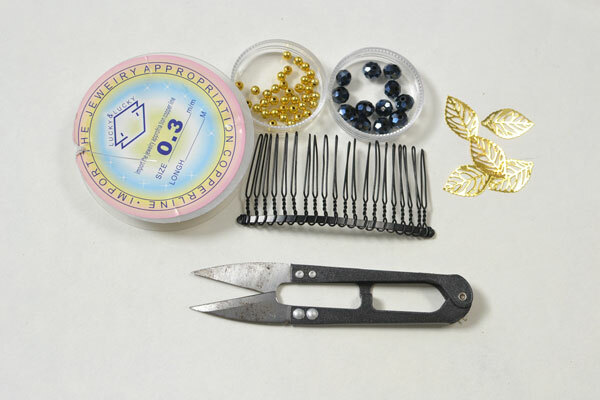 There’s no professional wire wrapping skills in this tutorial, you can freely wrap the wires in any way you like. 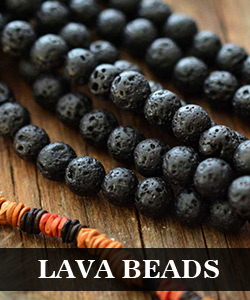 All you need to do is link the materials together and tighten them.